Support the work the Y is doing to promote Youth Development, Healthy Living and Social Responsibility. Donate now to help your local YMCA. This month,over 15 YMCA of Greater Boston day camp sites hosted local police officers as part of National Night Out – a national celebration aimed at bringing police and communities together. Officers from Boston, Boxford, Westwood, Woburn and other local police departments joined in the fun and games of summer camp activities while also providing valuable life lessons on topics such as safety, cyber bullying and much more. The YMCA partners with local police throughout the year to help foster positive relationships between youth and police. In Boston this summer, the YMCA is continuing its 20 year plus partnership with the Boston Police Department to identify and award camp scholarships to more than 75 at-risk youth. You can help support this and other programs at our Ys with an online gift. After more than 10 years of working for the YMCA and previously as a high school teacher, YMCA of Greater Boston CEO James Morton knew that experiences such as resident camp can be life changing for a young person providing them with their first taste of independence and exposing them to a whole new world of possibilities. But, it wasn’t until his 10 year old nephew Jaymes (pictured center with his cabinmates & counselors) attended the YMCA’s North Woods Camp on Lake Winnipesaukee this summer that he fully realized the impact of resident camp. “The change in Jaymes was tremendous,” said James Morton. “Before leaving, he was nervous about being away from home and making new friends," said Morton “When we picked him up, we were amazed at the activities he tried and the friends he made. More important than the water skiing and the intense basketball, we could see a change him – a new willingness to try things outside of his comfort zone and a strong belief in himself and his abilities." These skills will help Jaymes in school and beyond. After just one year of camp, Jaymes can’t wait to come back next year and later to work at the camp as a teen. On a recent appearance of WBZ's 4 Your Community, James Morton shared the YMCA's top tips to support children and families as they head back to shool. His tips were crafted into a handy acronym: LEARN. 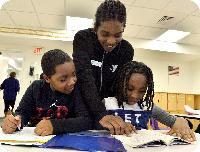 Watch here to see how the YMCA of Greater Boston can help everyone LEARN! The YMCA of Greater Boston joined in on the summer fun and hosted our own Summer Family Olympics at several of our branches. While the Olympic Games are about high level athletes and gold medals, our Olympics were about families, healthy physical activity and even showcasing artistic ability! Medals, Olympic torches and future athlete jerseys were all designed by the Y’s up and coming artists. While future Olympians completed obstacle courses, water balloon shot put, hula-thons, high jump, and basketball shoot-outs just to name a few. 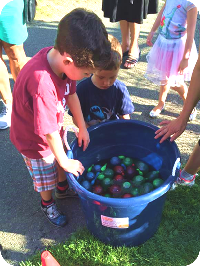 Over 150 families joined in on the fun and celebrated the event of the summer. The Y is so much more than a gym or pool, we are about fostering youth development and creating fun and welcoming environments for children and families. Each summer, the YMCA of Greater Boston's overnight camps are the place for over 800 children, 1500 family members and 1000 weekend guests to enjoy healthy and safe outdoor activities in the heart of Lake Winnipesaukee, New Hampshire. Camping Services recently held their Camp in Motion event. when community members, family, friends, alumni and donors are celebrated. The event started with two hours of fun activities and was followed by a dinner with a small award ceremony. Pictured above are Volunteers of the Year awardees: Lauren Blackington-Pleasant Valley, Amadeus Collard-North Woods, Roberta Franzini- Sandy Island. You can view our 2016 camp videos at our YouTube page. 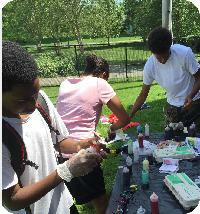 Giving teens something safe and fun to do this summer is what Get Summer is all about. 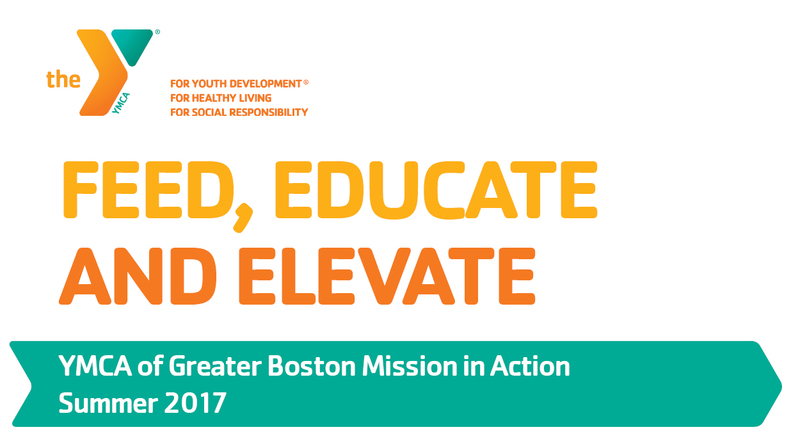 Last year the YMCA of Greater Boston gave almost 15,000 free teen memberships across the City of Boston and its surrounding communities to youth ages 13-19 (if still in high school) and this year we are on track to see even more teens in our facilities. Get Summer is not only a membership to the Y, teens have taken part in over 800 free events and have participated in job readiness programs that prepare them for the future.